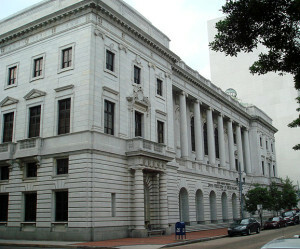 Most of you have probably already heard the news, but for those of you who are unaware, the 5th Circuit Court of Appeals has upheld Judge Hanen’s injunction against President Obama’s clearly unconstitutional, unlawful fiat legalizing 5+ million illegal aliens. This is a decisive, albeit temporary, victory for those of us who believe in the rule of law and application of it to a group which has exploited the political and legal process to the hilt. Unsurprisingly, the Obama administration intends to appeal this decision. It is also, according to reports, considering placing a woman who was responsible for San Francisco’s lethal sanctuary city policy in charge of the Border Patrol. You couldn’t make this stuff up if you tried, folks. Get the pitchforks ready! This entry was posted on November 10, 2015 at 4:34 PM and is filed under News. You can follow any responses to this entry through the RSS 2.0 feed.